Controversial as it may be, we are daring to ask the question: Single bowl or double? Lately, homeowners have been flocking to the single-bowl sink, but the classic double-bowl model should not be overlooked. There is a serious argument to be made for the more traditional feature. A pair of sinks makes multi-tasking a breeze — you can wash dishes on one side and peel potatoes on the other. And there are a plethora of modern options available that'll work well with every style. Ahead, you'll find eight kitchens with double-bowl sinks that will change your life for the better. This double-bowl farmhouse sink is what kitchen dreams are made of. Surrounded by light blue, distressed cabinets and a white marble countertop, the team over at Mark Lewis Interior Design guaranteed that it would stand out. A drop-in, farmhouse double-sink is the perfect match for this cozy kitchen designed by Studio Strato. 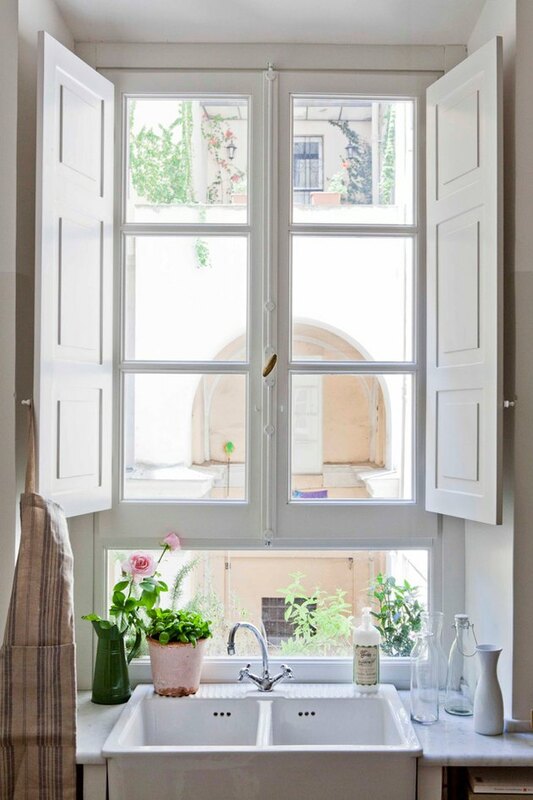 Centered on a quaint window flanked by shutters, you could easily lose time daydreaming as you take in the view. 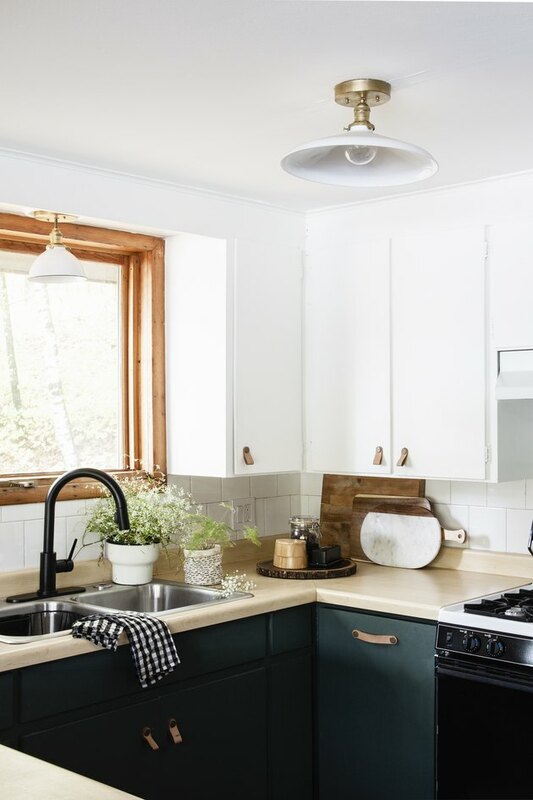 Alison from Deuce Cities Henhouse gave this cabin's kitchen a modern makeover using a pop of color. The lower half of the kitchen is full of drama with hunter green bottom cabinets, while the top half adds balance with white upper cabinets. 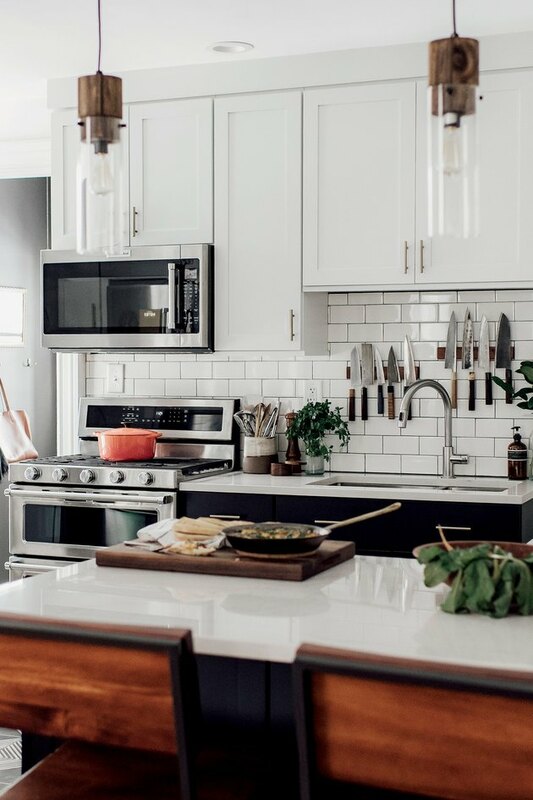 A stainless steel double-sink and black faucet tie the mostly black stove in nicely. 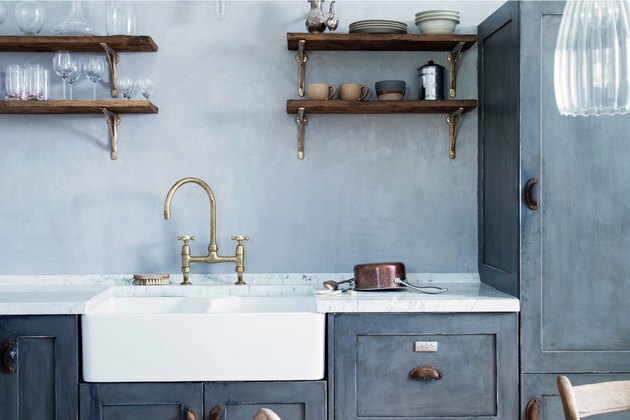 This bohemian kitchen is full of charming little details. 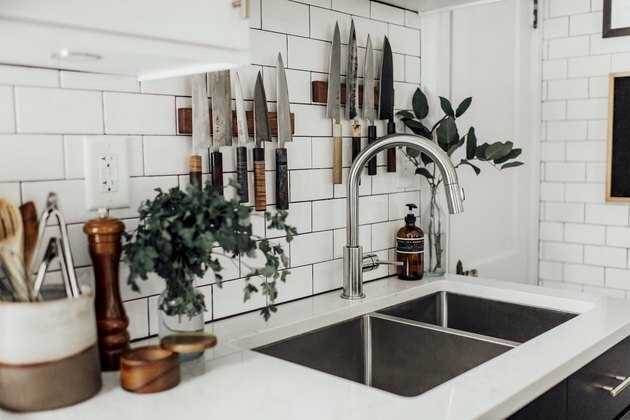 The wall-mounted knife rack, warm wood accents, and hints of greenery are a sampling of its eye-catching flair. A modern stainless steel double-sink and appliances add a modern edge. 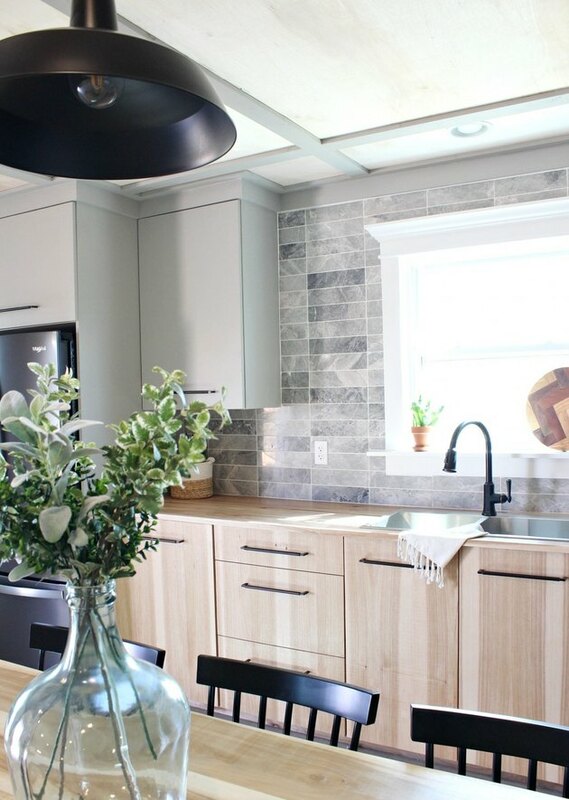 This Scandinavian-inspired space belonging to Shara from Woodshop Diaries beautifully pairs light wood lower cabinets, with soft gray upper cabinets. The black hardware, faucet, and dining chairs add a chic pop of color. 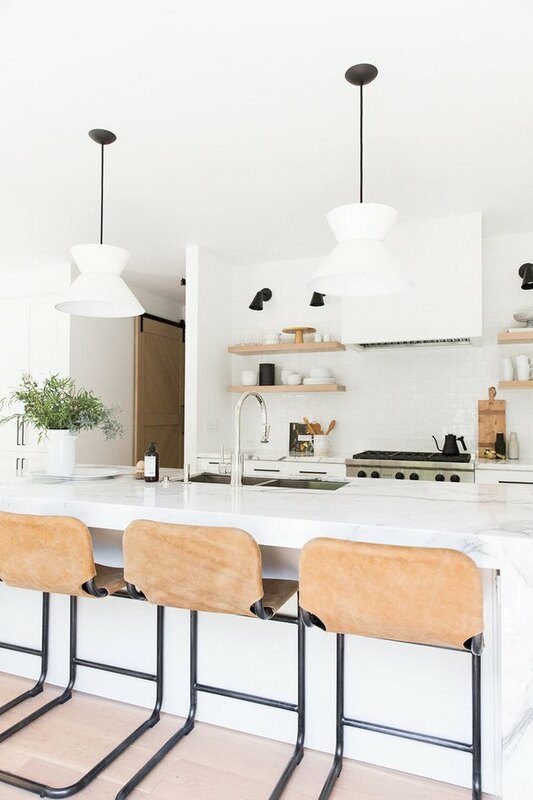 If you're angling for an all-white, minimalist kitchen, keeping a clean aesthetic becomes a high priority. 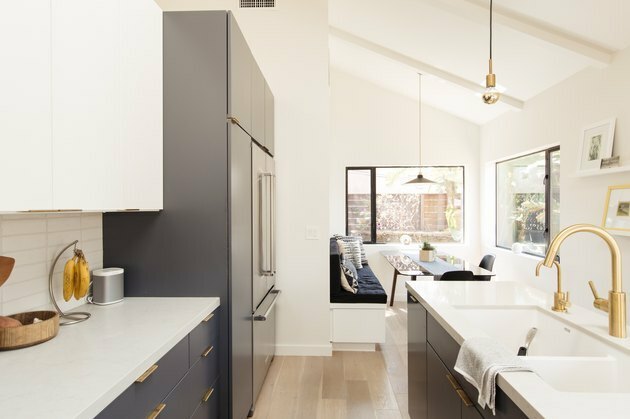 An undermount double-sink — like the stainless steel model in this cook space designed by Shea from Studio McGee — provides a flawless, uninterrupted look. Gold taps and a spacious double-bowl sink immediately attract the eye in this glamorous Culver City, California bungalow. Dark blue cabinets and stainless steel appliances act as the perfect supporting cast. Australian renovators Kyal and Kara hit the nail right on the head in this bright and airy beach chic abode. 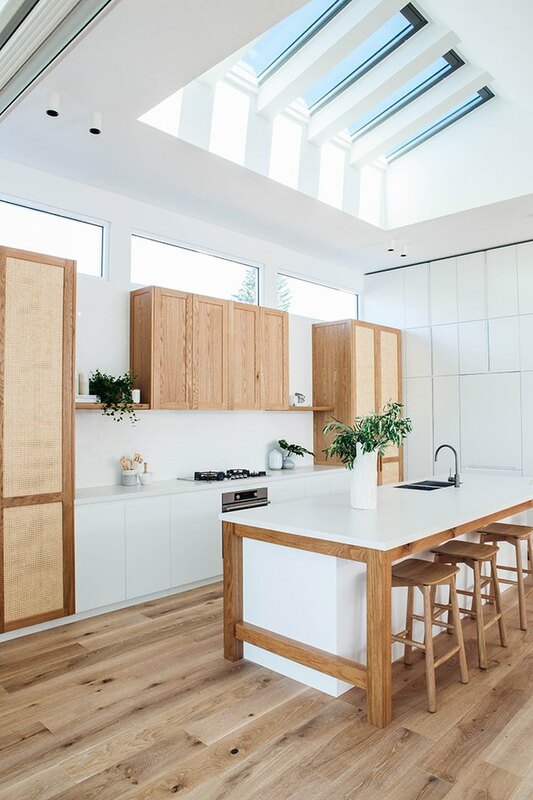 They paired loads of natural light with light wood and crisp white cabinets, resulting in a winning coastal combination.